A multi-room platform from Qualcomm that enables the sharing of digital media across up to ten zones. A number of brands have signed up to AllPlay already, and the very welcome news is that their products are cross-brand compatible. How refreshing! The 24-hour live music-streaming station from Apple, marketed as “the world's local station”. Beats 1 is fronted by Zane Lowe, who Apple poached from BBC Radio 1, and is available via the Apple Music service. A wireless standard for exchanging data across a relatively short distance using UHF radio waves, Bluetooth is a packet-based protocol that's perfect for bursts of information. It can also handle music, but not video. the LE in Bluetooth 4.0 LE stands for 'low energy', and is especially significant for smartphones, where battery life is crucial. A Digital Audio Converter is a component that turns a digital music stream into an audible analogue signal. you'll find DACs in almost every digital music player, amplifier and media streamer. An online music-streaming service from France that launched in August 2007. Initially a loss-maker, it now has a whopping 16 million users, who access the service from the Deezer app on their smartphones. Digital Living Network Alliance is the standard set up by a group of electronics companies for sharing media over a wireless network. High-res is the name given to digital music that's of better than compact-disc quality. In other words, it was recorded at a greater bit depth and sampling rate than CD's 16-bit/44.1kHz. usually found as FLAC, AIFF, ALAC or DSD files, which use lossless compression, high-resolution audio retains more of the original audio data and can therefore sound more like the original studio master when played back on high-spec equipment. These days, it's fairly safe to assume that every home with a broadband connection also has a router that casts a Wi-Fi field of inﬂuence around your home, enabling all of your wireless devices to join. Integrated multi-room systems using hard-wired components often use discreet speakers sunk into the ceiling. Fitting these is usually the job of professional custom installers. A term used to describe any network of speakers and sources that delivers sound, and sometimes video, around a building. 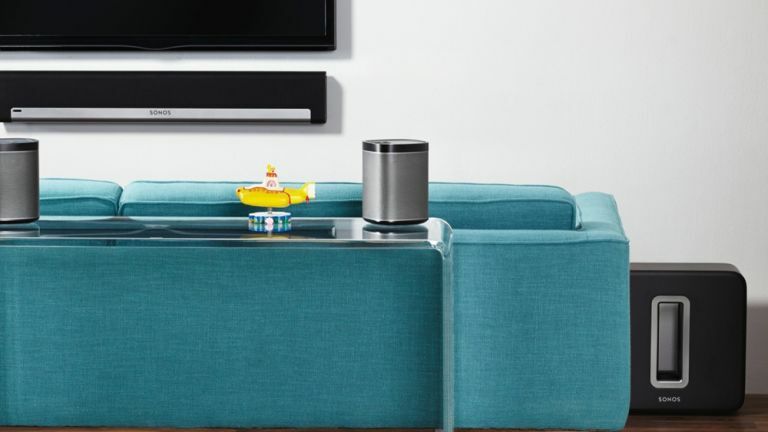 Yamaha's multi-room components use this proprietary system to communicate, sending audio to each other over Wi-Fi, AirPlay or Bluetooth as appropriate. you can add non-MusicCast products using Bluetooth, too. Another French music-streaming service but, unlike Deezer, Qobuz targets more discerning audiophiles with its smaller but better-quality high-res music catalogue. the app can be accessed from any smartphone, but you'll need compatible equipment in order to appreciate the superior quality of the lossless FLAC files. Ripping is the process of copying CDs onto a computer's hard drive for adding to a digital music library. Of course, you should only copy your own CDs that you've paid money for. The device that sends the broadband connection from your modem on to all your other smart devices, either by Wi-Fi or Ethernet cable. This is the data storage device that stores and then serves up your media when required. It could be a computer or just a hard drive that's connected to your home network and multi-room set-up. The Californian Hi-Fi company that disrupted the multi-room audio industry with slick wireless speakers in place of in-ceiling installations. The now-ubiquitous music-streaming service from Sweden that currently has 60 million users worldwide. It's freemium business model means that only 15 million of these are subscribers, who pay for a premium service that cuts the ads and unlocks more music. When two wireless speakers on a multi-room network are able to be configured to work as a left and right channel, you get a true stereo image. When a provider sends media to an end user as a digital stream. Streaming has come to mean any wireless ﬂ ow of digital info from one device to another, so you get a lot of it in any given multi-room set-up. A big speaker that takes care of the very low frequencies, to give your sound system a bass boost. (you might've had one in the back of your hot hatch when you were a teenager.) The subwoofer is the point-one channel in a 5.1 surround set-up. A wireless local area network, or the invisible force that links your wireless devices, if you prefer. Wi-Fi is a trademark, and any products using it must meet the conditions of interoperability. It's the most common way of passing data between digital devices in the same building. For the occasions when a wireless connection is impractical, you can always link the components of a multi-room music system with cables, like they did in olden times.